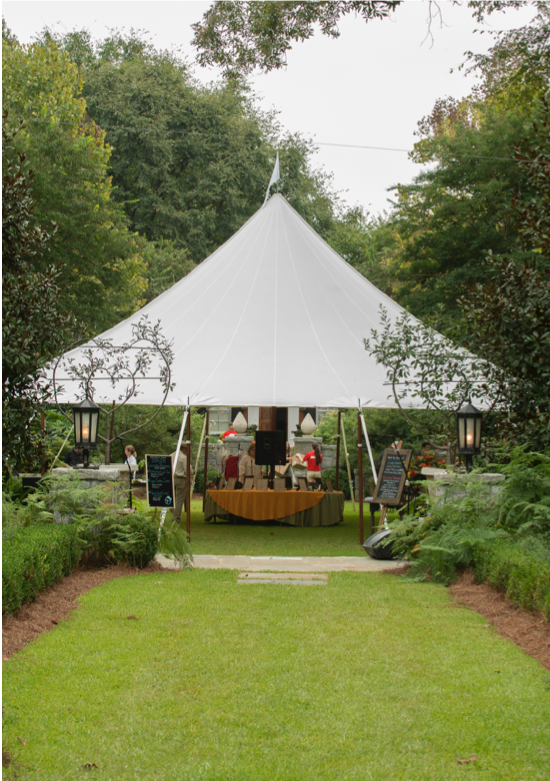 A majestic tent transforms your outdoor space into a fantasy-come-true. While a smaller tent will provide an intimate setting, we can configure a tent palace for you that can easily accommodate hundreds of guests. When choosing which tent to use, you must first decide between a Pole Tent and a Frame Tent. Here is some information to help you make your decision. The high peaks and graceful curves seem to defy gravity. As the name suggests, the poles are what create the tall spires. Having poles in the center of the tent does impact your layout. When thinking about your table placement and dance floor/stage placement, you have to plan carefully. Another thing to consider is that Pole Tents need to be set up on a flat, grassy area. For some people, all of that is worth having the unique, dramatic look of a Pole Tent. The frame structure is what supports these tents, so the floor space inside the tent is open, allowing for ease of setup and flow of your event. If necessary, they can be set up on uneven ground and on hard surfaces. 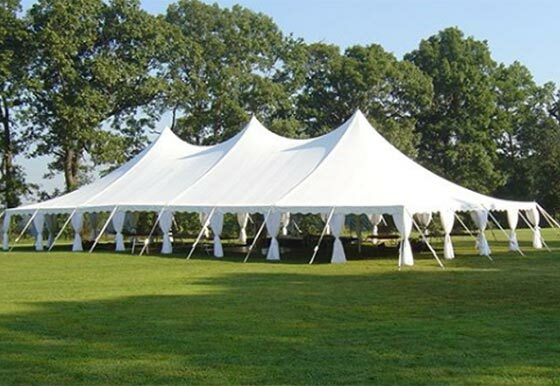 Frame Tents offer more variety in configuration and layout. 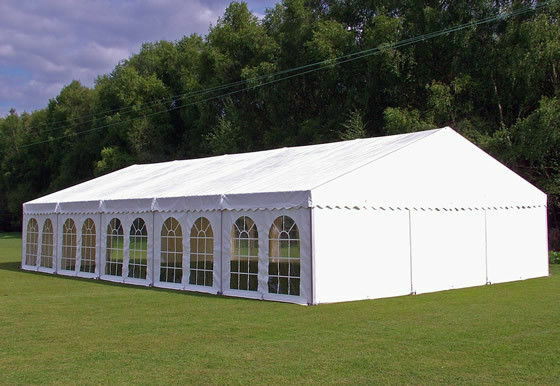 If you are seeking a dramatic look, our clear tents are a wonderful choice.